My granddaughter and I build this computer as a birthday/starting high school present. It was a lot of fun! I absolutely hate RGB, but she loves it. So, RGB it is. I think it's safe to say we went a little overboard. In fact, we went overboard in several ways, like the push/pull setup on the front-mounted AIO. The Manta allows you to do that, so why not? Then there's the idea of using an AIO with a non-K processor. True, you don't really need one. But hey, having an AIO lets you add two more RGB fans! I regret choosing this particular brand. I don't like the mounting system compared to the Corsair Hydros I've used in the past. In fact, we narrowly averted a potential CPU melt-down with our first attempt to mount the block on the processor. (See the pictures) Not only that, the center LED is already showing signs of failing. It started out blinking brightly and consistently. Now it blinks very weakly and intermittently. The pump still functions. And with the push/pull overkill on the front radiator the CPU stays a chilly 24C at idle. I like this motherboard so much better than the ASRock we used initially. With the ASRock, the USB 3.0 header, front panel connections, and USB 2.0 header were directly behind the back of the GPU. The glut of cables applied torque to the back of the GPU kept it from seating properly, which I think contributed to the PCIe slot failing. With the Gigabyte board, the connections were safely to the right - although crammed together which made cable connections a challenge. But you expect that with this size board. Overall, a very good board for the money. I've always used Corsair Vengeance memory sticks. They've always been dependable. These were on sale. I'm pretty sure we didn't pay $166.88 for them. I drew the line on RGB memory sticks, because they cost so much. Besides how many RGB lights do you need in one rig? 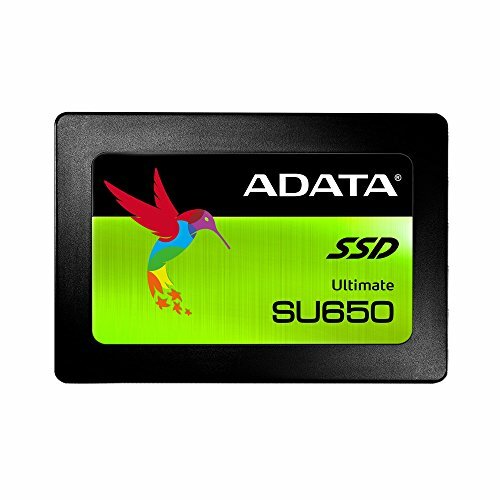 I've never used ADATA SSDs before. We got these because my granddaughter liked the hummingbird. I'm really impressed with this GPU. For the money, I don't think you can beat it. I was consistently getting around 126 fps on Valley Benchmark with temps never above 71C. Which I felt was great for such a cramped case. I had a love/hate relationship with this case. Pros: 1. We didn't want a typical black box, so the Manta's unique shape was appealing. 2. It's solid as a brick and very well constructed 3. It's large for a mini ITX case, which isn't necessarily bad. 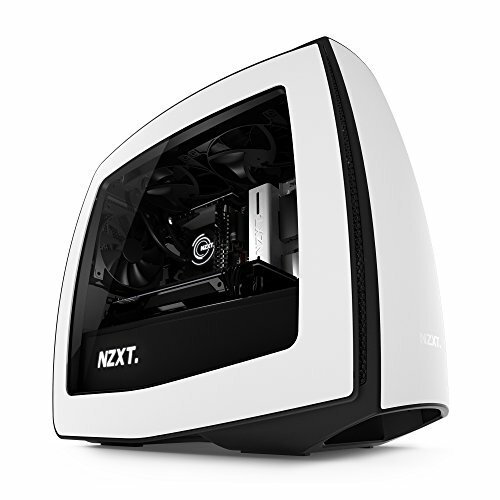 The bowed side, top and front panels affords better airflow and allow you to do more things with the case than any other case in its class - push/pull configuration on a front-mounted radiator, for example. The bowed back panel adds some much need room for cable management. 4. The center channel is handy for hiding SSD connections and other cabling. Cons: 1. The GPU mounts very low to the PSU shroud. I'd estimate there is about 1/4" clearance between the GPU fans and the PSU shroud. Even though the top of the PSU shroud is vented, an ATX power supply comes almost all the way to the underside of the shroud. There is probably less than 1/8" between the top of the PSU and the underside of the shroud. This leaves very little room for airflow to the GPU. This dosen't pose a temperature problem for our 1060, but I'd worry about a 1080 inside this case. Especially an overclocked one. 2. The side panels are a royal pain to secure. Hinges please! 3. The NZXT logo illumination and rear LED stopped working after the rebuild. But I am NOT going to tear this computer apart a third time and RMA the case just for that. Disappointing. 4. The SSD brackets are held in place by a single thumb screw, which isn't enough. The SSDs keep slouching sideways. 5. The central cable routing channel is a nice feature, but it just isn't wide enough or deep enough to accommodate all the cables that have to route through it. The result is a massive traffic jam in the center of the case. This is made worse by the fact that the SSD connections protrude into the channel, taking up much needed space, and contributes to the SSDs getting shoved sideways all the time. With all the other cables in the way, the SSDs connections are almost completely inaccessible. 6. The Manta costs a lot! It's a nice looking case with a lot of nice features. I'm glad we got it for my granddaughter, but I'm not sure I'd want to own one for myself. This is the fourth EVGA power supply I've owned. Never had a problem with any of them. Here's a tip: Download a free utility called Spybot Anti-Beacon. It turns off most, but not all, of Uncle Bill's spyware. Unfortunately, you can't disable all of it without breaking Windows. I just noticed that the part listing is wrong. We used HD fans for this build, not LLs. Getting the Corsair Commander Pro and the Corsair link software to recognize the Corsair fans. You think that'd be a slam dunk, but no. Getting the Corsair Link software to configure the RGB lighting properly. Only the Rainbow function worked, nothing else. Once I finally got everything set up, I restarted the computer. When it came back up, I was back where I started. No fans, no RGB! GAAAAAAAA!!!!!!!! Before you purchase Corsair RGB products, I'd suggest checking out the Corsair user forum and observe the many dozens and dozens of frustrated people trying to get their expensive purchases to work right. I know, I was one of them! I have the same CPU cooler and I learned that unless it's at 100% pump speed, the pulsing LED will do weird things. I would check and make sure your MOBO isn't treating it like a fan and reducing the power to it. It should be at 100% all the time. Your granddaughter is very lucky to have such a great grand parent like you! Very awesome build! Thanks, she's an awesome kid. Wanted her to start high school with a bang. You don't have much storage there you won't be able to fit many games on it. 360 gb is plenty to start with. If she needs more storage, she knows how to add it now. That spread is just incredible, heat dissipation for days. 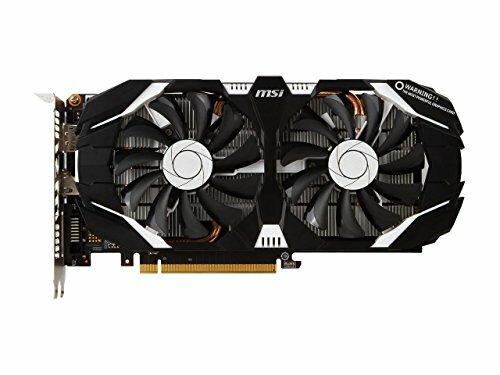 1350$ with a GTX 1060 and an i5? Congrats, you scammed yourself. 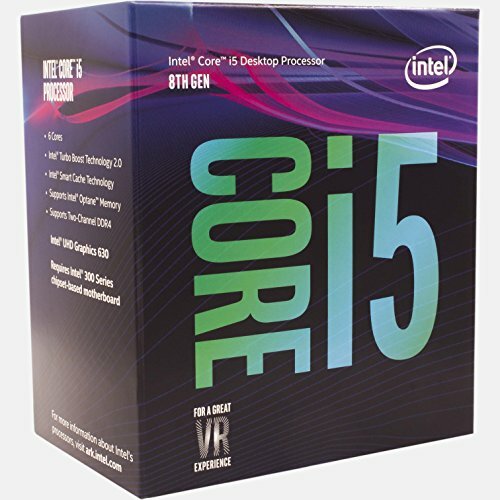 Even a pre-build would had better specs for this price. $1350 wasn't the cost of the build. That's just the price of parts that PCPartPicker throws in. I'm pretty sure the total cost was around $1100. Most of that was the added cost of RGB stuff and the $110.00 Manta Case. Spread over the 14 months we spent collecting parts, $1100 works out to be about $79.00/month. You get 30% of the cost of your MB at Microcenter if you buy it the same time as your processor. I built my niece an i3-8100 paired with a used GTX 1060 3GB and then spent an absolute BOMB!!!!!!!!!! on her desk, RGB strips in the case, out of the case, on the side, on the top, down below, under the stone, beyond the bone and then threw in a few flashy fans, christmas bright RAM sticks and if that wasn't enough denied myself a charitable sale and gave her my previously owned $100 RGB Mech keyboard and mouse etc etc etc. Whoa there tiger, might want to tone down the aggression there. That aside, looking over the components aside from the CPU and GPU Its a pretty reasonable price. I was thinking the same, I was expecting GTX 1070 and a better i5 or i7 for that price, the case, ram, and fans is were he spend too much money.